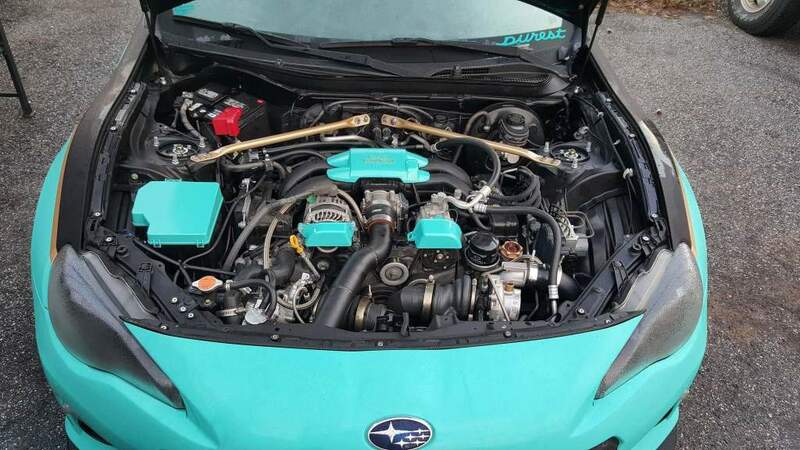 Most lists of top-10 performance mods include a turbocharger, supercharger, nitrous oxide or updated engine tune. Increasing the engine’s oxygen intake also increases fuel, which boosts power. 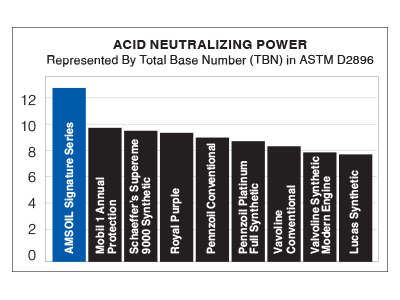 While all that extra power is great, it puts additional demands on your engine oil. Your main bearings – and, for that matter, the time, money and effort invested in your vehicle – rely on an oil film that’s thinner than a sheet of paper. Adding horsepower increases rpm and engine stress, placing even more stress on the oil. Many enthusiasts make compensatory upgrades to the crank, pistons, cam, etc. to handle the additional pressure. 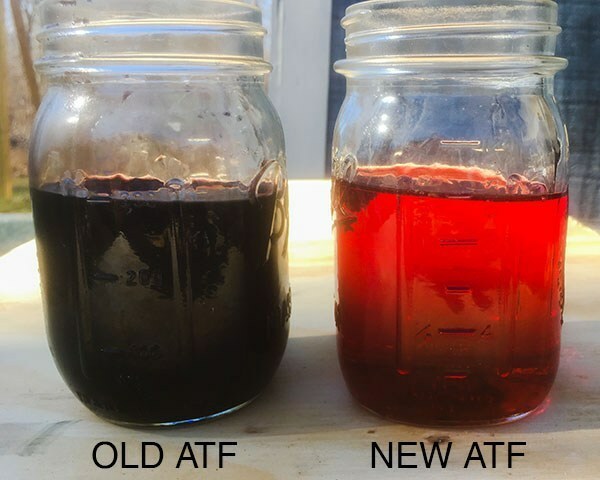 In this scenario, upgrading the motor oil is often overlooked. But it’s an important consideration since engine upgrades can increase shearing forces, which result in viscosity loss. And viscosity is the most important property of oil. Check out this post for details: What Does Viscosity Mean (and How Does it Affect Your Engine)? Shear results when one layer of fluid moves in a direction different from another layer of the same fluid. Shear (often called mechanical shear) occurs when one layer of oil moves in the opposite direction of another layer of the same oil. 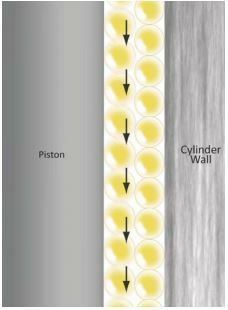 A great example occurs between the piston and cylinder wall. These two oil films move in opposite directions under intense heat and pressure. This is why high-horsepower, high-rpm engines create increased possibility for viscosity loss due to shear. This scenario can shear, or tear apart, the molecules of viscosity-improver additives, which are used to extend the viscosity range of the base oil. The application and type of base oil determine the type of viscosity improver. Some viscosity improvers resist shear better than others. And some synthetic oils don’t need viscosity improvers at all due to their ability to withstand shear. If the oil loses viscosity due to shear, it can fail to provide the required level of wear protection. Think of the force transferred through the piston, rod and crank to the thin oil film protecting the bearing. There’s not much room for error. AMSOIL uses naturally shear-resistant base oils combined with top-tier, shear-stable viscosity improvers. AMSOIL synthetic motor oil withstands extreme heat and shearing forces, exceeding industry standards and outperforming competing brands. 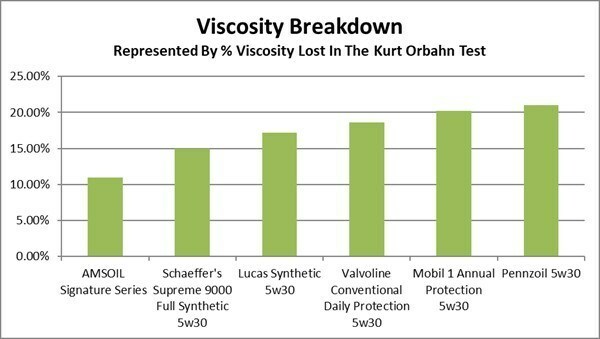 In fact, it fights viscosity breakdown 46 percent* better than Mobil 1’s so called synthetic. It stands up to the devastating effects of high-horsepower, modern engines for maximum protection. *Based upon independent testing of Mobil 1 Annual Protection “Full” Synthetic and AMSOIL Signature Series 5W-30 in the Kurt Orbahn test, oils purchased on 05/03/18. Send a note, question or request a price. Like & Visit our AMSOIL Store!